I would like to thank the publisher, Corvus, for a copy of this book in return for my review. This is the third time that I have sat down to write this review. No matter what I have written in my past two attempts, I just couldn't do justice to this fantastic book. Fix you is set over twenty one years, it starts in 1999 and finishes in 2021. The book starts on New Years Eve 1999, the night that Hannah stood in to help her mother cater a party, the night that Hannah also met Richard for the first time. Fast Forward to 12 May 2012, Hannah walks into Richard's New York to tell him that they have a son together. But after everything that has happened between Hannah and Richard in the past, can they put it all behind them and realise that they are destined to be together. However, this only happen if Richard is willing to forgive Hannah, and he's not sure that he's ready to do that. I will start by saying that this book is absolutely incredible. Every last page of it has a little bit of sparkle. Before this book came in through my letter box, I had no idea who Carrie Elks was, but the minute tat I read the blurb I knew that this was my kind of book. I read it over two days and I can't believe how talented and adept Carrie Elks is. Fix You simply blew me away. I loved how the story moved through the years, making this book a easy read. I loved how heart stopping and awe inspiring the story was. At times I was so frustrated by what was happening, which was a sure sign that I had fallen in love with both the characters of Richard and Hannah. Two characters have never had such an effect me before and I will find it very hard to find two who will move me as much ever again. 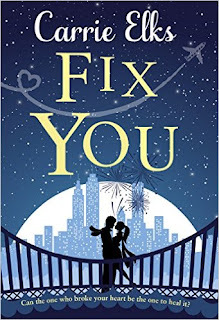 Fix You had great chemistry and is such a moving story. I cried tears of sadness and tears of joy while reading this, sometimes this even happened on the same page. Carrie Elks has left such a lasting impression on my with Fix You and I know that these characters will stay with me for a long time to come. Fix You is utterly captivating and so eloquently written. 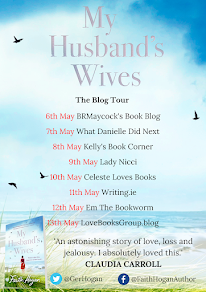 Carrie Elks has talent coming out of every pore and you can tell that her heart and soul went into writing this book. I was upset that this book had to end. It's not very often that a book will affect you, like this one has done to me. I can't praise the author enough. I would give this book ten stars if I could. An amazing, awe inspiring read.